I’m a big fan of coffee but this past year I’ve found myself getting more into tea drinking. I enjoy having a mug of tea at the end of the day when I’m winding down with my book or some other project. I still feel like a tea newbie in that I just buy what looks good at the store but haven’t really found many brands or flavors that I really love. Fast forward to last week and I’d purchased the Lego Advent Calendar for my kids and was kind of wishing I had a grownup advent calendar for myself. 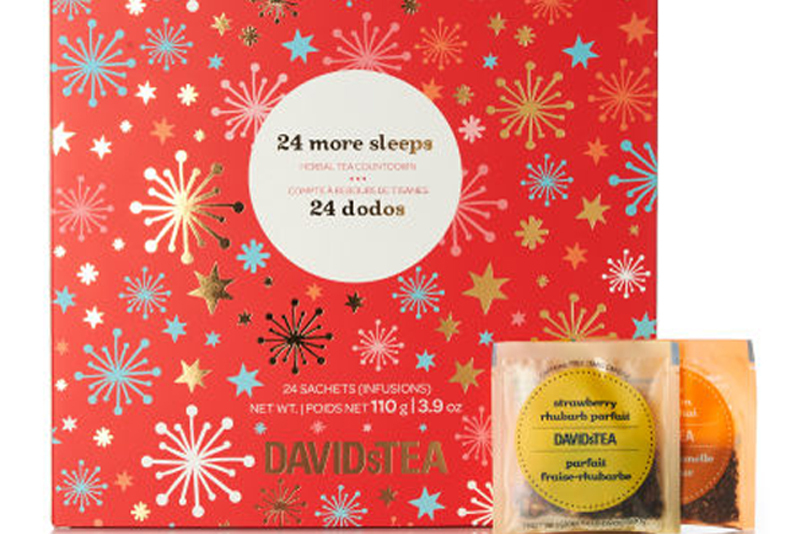 A bit of searching later and I came across David’s Tea Advent Calendar. I figured this was the perfect way to try a bunch of new to me tea flavors! I chose the 24 More Sleeps collection which includes low or no caffeine blends. I can’t wait to try that first cup on the night of December 1! Does your family do an advent calendar each year?